‘Sophies’ Production’ or commonly known as ‘Sophie Prod’, is one of the most awaited events of the dram enthusiastic junta in the institute. This is the event – for, by and of the sophies, so as to say. This event gives the Sophies a platform to showcase their budding talent by putting up a play written, directed and acted by sophies themselves. This year Sophie Prod proved to be a great success. The event showcased 10 plays put up by the sophomores – 2 of them were PG plays and 8 were UG. The event, that lasted approximately 6 hours long, was hugely appreciated by the senior members of FourthWall. And as one of them mentioned, FourthWall’s future will keep on getting brighter and brighter. So after the long wait, here are the experiences of the people who put in months to create these plays, and reviews given by senior FourthWall members on watching them. 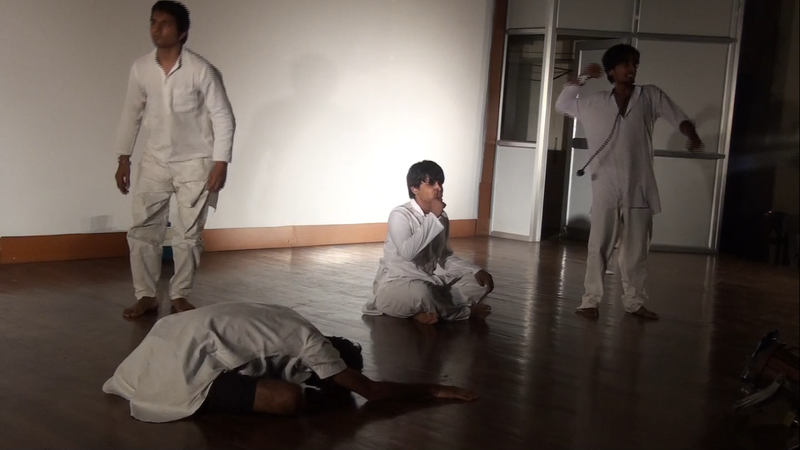 A play starts off with a scene where MODERN Yamraj (nivedan)is supposed to kill an actress(Jaskirat)on earth. But the actress with her charm and beauty convinces yamraj to hire her as his secretary in the heaven. As the play advances we come to know that the Yamraj is very “kamchhor” “rishwatkhor” and has an affair with her “supposedly” secretary, consequently a case is filed against him . 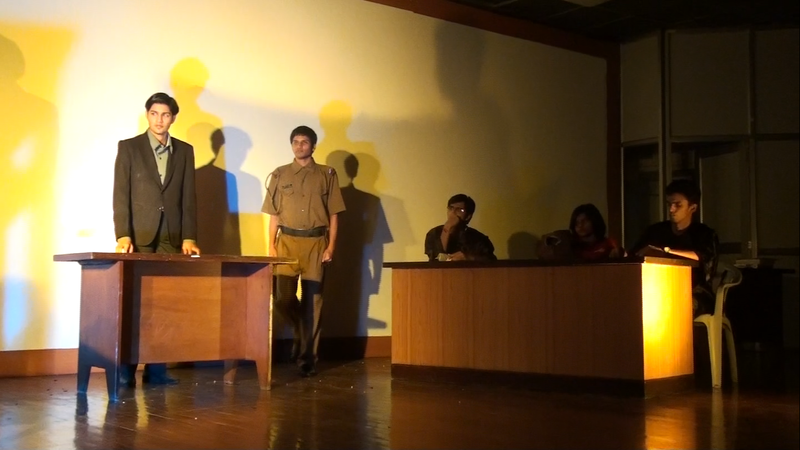 Next is the courtroom scene where the case advances, the defence lawyer is the actress and against him is Indra (Suyash), and the judges are Goddess (Ashima) and Bramha (Rohit). The witnesses are Surya ( Abhiram) and Blue(Varun). Although the charges against Yamraj are really strong but the Actress with her wittiness turns the coin in his favour. But the intern which Yamraj hired earlier (Dabaade)again flips the coin and the ball comes in yamraj’s court again. But in the end Yamraj manages to disprove everything against him with a mixture of senti and clever speech. The best thing about the play was that this was a concept never thought before by any Sophie. It was a really very well scripted play with but a few mistakes in execution. 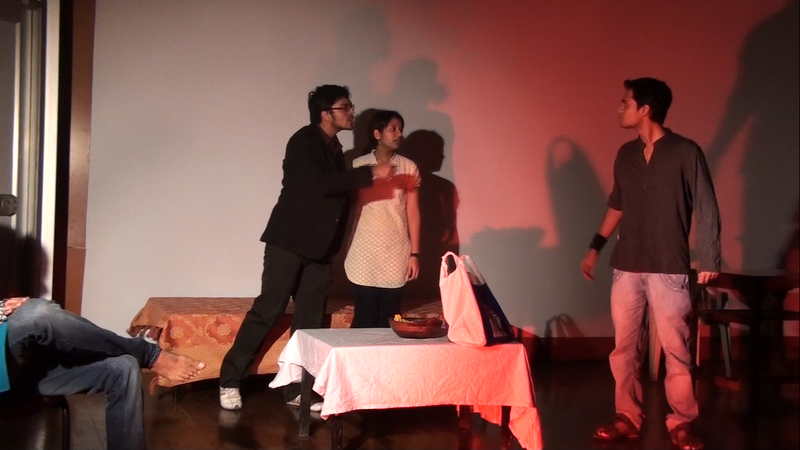 The small (but very well acted) elements in the play made it quite hilarious. The characters were well outlined and well acted, flirty nature of actress and the charm that she creates over others adds to the humour, the peculiar style of goddess quoting everything as “middle class”. The IIT “fatte” as usual are a big source of entertainment as well. There were some parts where some actors were blank and some in which some really overacted. 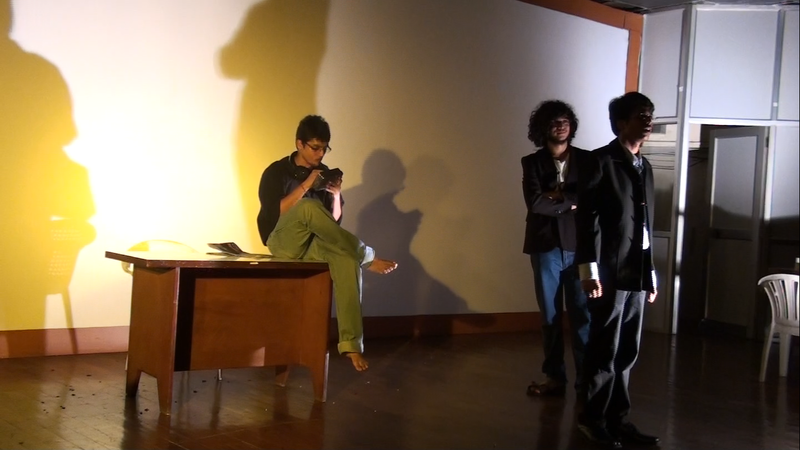 But overall kudos to the script writer and director of the play Namrata for such an amusing script and play. “Sophie Prod has proved to be a journey to me – an odyssey full of experiences, moments that I will cherish forever, emotions – joy, frustration, excitement, anger. As if this whole experience was another mentor for me, teaching me valuable things. I am so overwhelmed with this whole experience that I am finding it difficult what should I share here – those endless spammings on our group, the daily nightouts we had, the moment when I came near to ditching the prod or the moment when I felt that our play will leave everyone mesmerized…there are so many emotions associated, so many memories! Having chosen a patriotic script, I always had a side of me saying that we won’t do justice with the theme, and the expectations people seemed to have made it seem all the more negative. But my mentors really helped me a lot in this case. Knowing that I am such a nabdu, they always helped me keep my morale high… When I was on the LT stage, performing, seeing the audience reaction, I realised that maybe my play was a bit too heavy (or maybe it was being staged at the wrong time), but then just one glimpse of my mentors made me forget all the tensions creeping in my mind – the look that said, ‘everything would be all right… we have full faith in you’. Ayush , Gagan, Shruti, Kanu, Amisha – Thank You! (But I know this isn’t enough) and sorry – if I ever made you give up! My teammates –Anuj, Pethe, Shreyansh, Shrey … it was an awesome experience working with you guys! “It was already midnight. 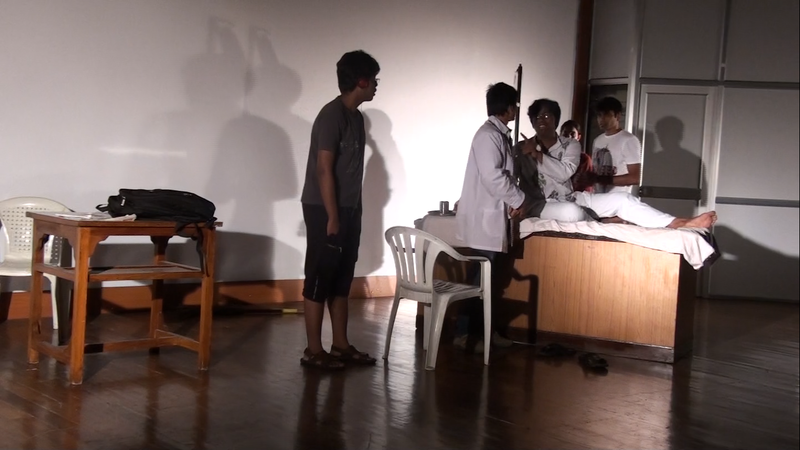 The play which I had nurtured for almost four months was about to be performed in front of some hundred odd people in LT. The feeling was new and vaguely unfamiliar. While I was disappointed that the play had gotten delayed by almost two hours, I was equally nervous and excited to see it unfold in front of my eyes. Contrary to what I’d expected, I wasn’t nervous or scared when it was all happening. Things were just ‘flowing’ without any hidden machinery – falling into place, effortlessly. There was hardly any time to feel. The applause, the laughter, the crowd’s reaction made us feel alive. We messed the last scene of the play. Nevertheless the play happened as we had expected. The experience, to say the least, was enriching. Right from the days of scripting to the final curtains of the play, I felt a persisting sensation of being a part of something big. What I find almost unbelievable is that something which began with a single thought which struck me one fine evening grew into a half an hour extravaganza. En route, I met some wonderful people. The actors – Shrey, Abhishek, Aditya, Krishna, Ishita, Ashvin, Nilesh, Namrata and Devendra were always ready to go for that extra mile in rehearsing, the mentors – Yudhister (Yudi) who always kept us on toes, whose enthusiasm rubbed off onto us, Arpan whose inputs from last year’s experience were helpful, for lack of a better word, Ronak from whom we learnt a lot about theatre and acting in general. I would like to extend my gratitude to Prasun Agrawal who understood the play more than anyone, probably even more than me. “This event gave a platform to showcase talent and skills in every part of play from script-writing to technical-handeling. And we all sophies fully exploited this opportunity and learnt a lot,though enjoyed more.In this event, I did script-writing,direction,music handelling,lights and finally,gave voice-over too.What more you can expect from a event which gives so many opportunities in dramatics in just second year.We had to practise continously for last 5 days to achieve the level of performance we had put up on the stage.They all did mistakes and learnt from it, which made it memorable.We had to do the play almost without any mentor, which made the situation more interesting ,when we were not able to decide what to do next and then,each one of us came forward with amazing ideas and expertise. Really liked Meethe Kenchue, Jazbaat. 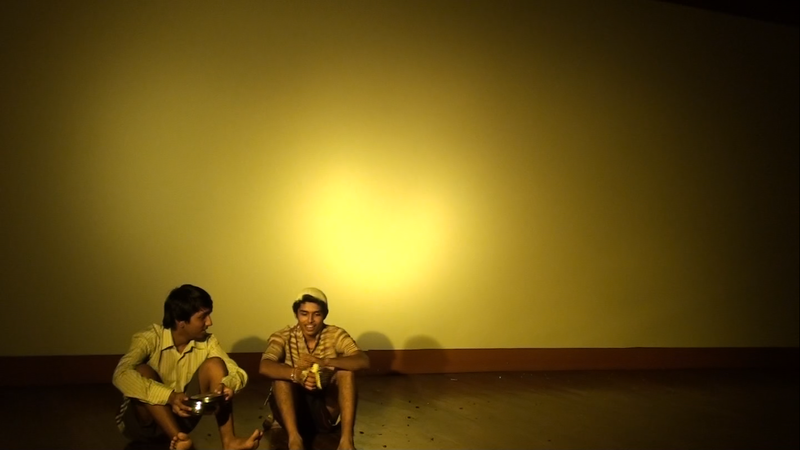 Acting was very convincing especially from senior Bismil and senior Khan. Commendable effort in script. With the help of mentors, I am sure, this can become very effective and one of our entries in inter-college competitions. Also, Kanad was hilarious in Lene tujhe o gowri. Other plays too had high points here and there. Thanks a lot for making my evening memorable.